Â The feasibility study is a general examination of the potential of an idea to be converted into a business. This study focuses largely on the ability of the entrepreneur to convert the idea into a business enterprise. A feasibility study is a preliminary study undertaken to determine and document a project's viability or the discipline of planning, organizing, and managing resources to bring about the successful completion of specific project goals and objectives. The term is also used to describe the preliminary analysis of an existing system to see if it is worth upgrading all or a part. Helps in identifying the risk factors involved in developing and deploying the system. 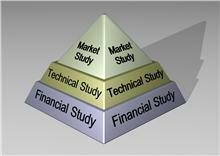 The feasibility study helps in planning for risk analysis.